There are 3 sets of paper in the new Occasions Mini Catalogue that I am just in love with. One of them is Watercolour Wonder. Its a beautiful mix of colours with a gorgeous watercolour feel. I love this paper in the range, and wanted to let it shine as the feature of the layout. 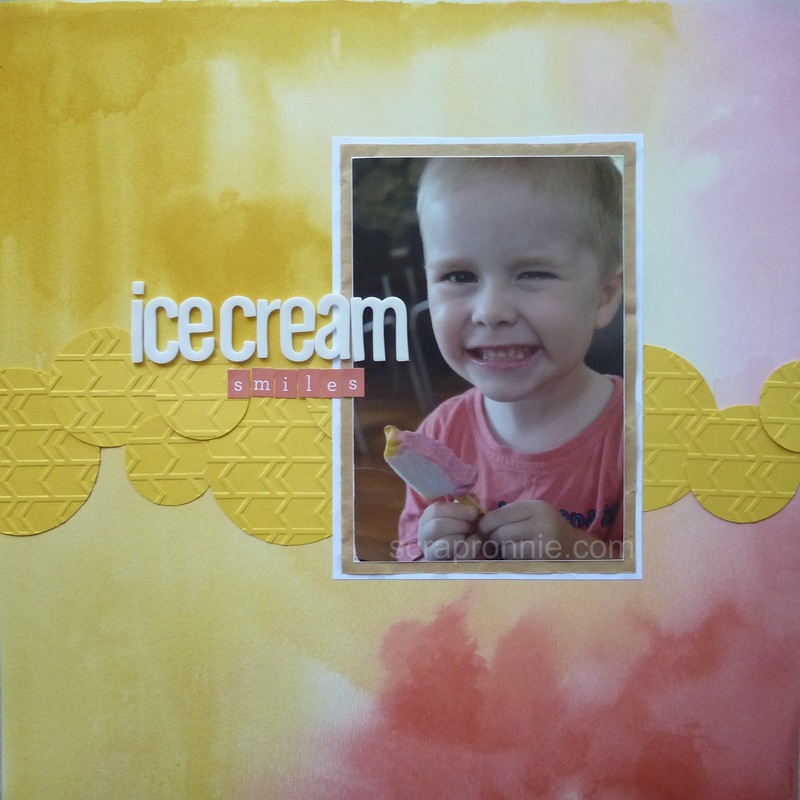 Materials: Watercolour Wonder DSP (132994), Daffodil Delight Cardstock (121680), 2 1/2 "circle (120906), 1 3/4"circle (119850) and 1 3/8"circle (119860) punches, Arrows Embossing Folder (132187), brown wrapping paper (from Stampin'Up! order), random letters from my stash.